Maybe you went to dental school and believed your administrators touting today as the best time in history to be a dentist despite huge dental student debt. You thought you would work four days a week and drive a Porsche to work. The truth is, some dentists do have this experience. Unfortunately, not nearly as many dentists achieve this level of financial success as in the past. A recent study by the American Dental Association found that average incomes for dentists fell from $213,875 in 2005 to $188,580 in 2016. There is an alarming trend in the dental profession away from an army of small business owners to an army of employees at corporate dental groups. I use the word alarming because the profits in the dental world increasingly go to private equity and other investors instead of doctors like you. I make custom student loan plans full time for dentists, and I’ve discovered that owning your own practice is the best way to financial freedom. While the student loan repayment rules for dental practice owners is similar to non-owners, ownership is often the best option for student loan repayment. This is the case for a direct repayment strategy like student loan refinancing or an indirect path like student loan forgiveness. If you think you need to be an associate for several years just to get a handle on your student debt, think again. How Much Money Do Dentists Make? Recall I said that the average earnings for dentists were around $188,580 as of the most recent ADA survey from 2016. That survey from the ADA is mostly representative of practice owners, as the respondent sample size didn’t include many associate dentists. Practice owners earned about $199,000 on average and associates earned around $150,000 on average. Dentists are therefore getting slammed on two fronts. Not only are owners making less because of declining insurance reimbursement, fewer dentists become owners in the first place. I believe this is in part because student debt makes you more afraid to take risks. You feel more comfortable earning $150,000 working for someone else when you have two mortgages worth of student debt attached to your name. The standard deviation of earnings in this ADA survey is $124,290. That means the top 2.5% of dentists earn over $448,000 per year. Top earnings specialists make even more money. There are huge holes in this analysis though. I frequently see associates earning $110,000 a year or less in supersaturated areas. I also have run into several dentists making over $400,000 per year. The scary part is that both are uncommon incomes but very realistic. Luckily, I almost never see super low incomes from practice owners except in areas like California or the NYC metro area where there is a huge oversaturation of dentists. Usually, when I see a dentist making more than $400,000 he or she lives in a flyover state in a random area you would never think of living. Our Student Loan Planner sample size of hundreds of dentists is biased in that we mostly deal with doctors with large student loan debt balances. That said, I would say the average income for young associate dentists that we come across is about $120,000 to $160,000. The average owner incomes I’ve encountered have been between $150,000 to $250,000. The top-earning dentists are almost always owners. Associates tend to top out at 35% of collections, and you can’t earn more money than the procedures you can perform in a day. 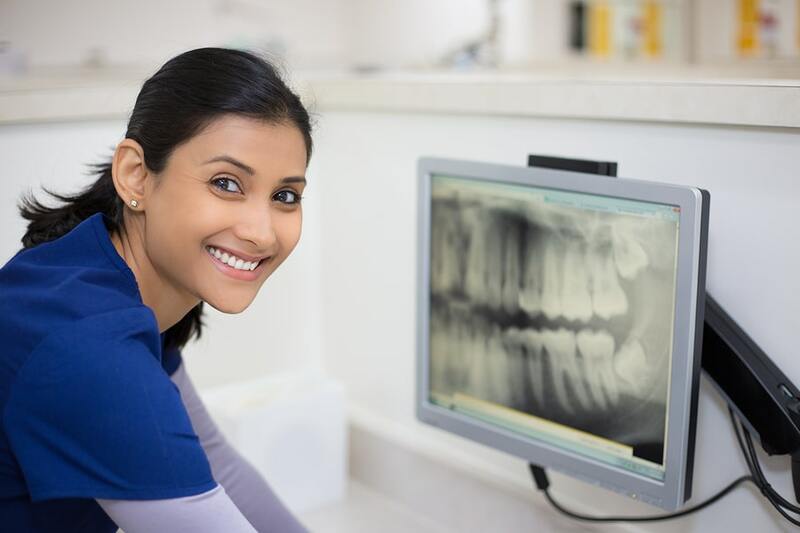 If you want to earn a good living from your dental degree, you want to consider starting a dental practice right out of dental school. One of the best student loan repayment rules for dental practice owners involves minimizing taxable income so you can pay less in taxes. This rule is true whether you owe $500,000 from attending a private dental school or you owe nothing. As a W-2 employee, you have very little control over what shows up on your tax return. If you made $130,000, the main way you can reduce that is by saving for retirement in a traditional 401k. A 401k can reduce your taxable income by up to $18,500 if you maximize your contributions. However, your employer must offer one in order for you to participate. If your dental practice grows, you do not have to pay tax on that growth until you sell it many years down the line. Even then, the tax would be at lower capital gains rates instead of higher ordinary income tax rates. I frequently hear from dentists that they want to be able to just turn off the lights and go home at the end of the day. In reality, you’re exposed to business risk as an employee or an owner who outsources business tasks whether you like it or not. You might as well put your economic stability in your own hands instead of someone else’s. After working for a decade or more as an owner, you would be able to sell your dental practice for a multiple of your earnings. As an associate, all you have to show for your labor is your W-2 earnings. You have no asset to sell. In general, if you can get a good price on the building your practice is located in, I think you should own it. If the value of the real estate is higher than your practice, then I personally would not own the building as you are just a real estate investor that happens to do a little dentistry on the side at that point. Assume you buy your building for $500,000 and take out a 30-year mortgage at 5% fixed interest. You can depreciate the value of your commercial real estate with a 39-year useful life thanks to the IRS. That means you would be able to reduce your taxable income by $12,821 per year if you owned your real estate. Assuming a 30-year fixed rate mortgage at 5%, you’d be able to deduct another $24,832 of interest from your taxable income with a $500,000 mortgage. Your monthly payment for the building would be $2,684. Consult with a CPA, but I believe you would be able to deduct additional thousands of dollars of expenses beyond the ones I’ve discussed such as property taxes and insurance. Over time, your building and the land it sits on would appreciate. You would also get the added bonus of not needing to pay rent since you’re paying a mortgage instead. Of course, all these benefits are way higher than what associates get to deduct on their taxes for business real estate costs, which is nothing. Dental practice owners also get the advantage of deducting interest on their business loan. If you pay $1,000,000 for a practice with a 5% interest rate, then you would get to deduct over $48,000 in interest for your business loan. That’s roughly 38% of your overall annual payment that you get to write off on your income taxes. On top of this deduction, pretend you own a CBCT machine or used CAD/CAM dentistry. You would get to write off additional depreciation for this equipment that would further lower your taxable income. Don’t forget that owners can choose what retirement plan they want for their business. That means you could choose a 401k with low-cost index funds and put $18,500 in this plan plus an employer match, which would reduce your taxes further. Saving for retirement is an important step that many dentists don’t think about until much later in life. You’ll want to save as much as you can now because of the demanding, physical nature of dentistry. Pretend that Angelina and Sue went to dental school together. Angelina decides to buy a $1,000,000 dental practice a couple years out of school while Sue continues to work as an associate, earning $200,000 per year. Angelina’s overhead of staff salaries and expenses leaves her with $400,000 of earnings before talking to her CPA about lowering her income. She also owns her $500,000 building. Between building depreciation of about $13,000, other building expenses of $7,000, business interest of $48,000, mortgage interest of $24,000, and equipment depreciation of $8,000, Angelina has $100,000 of deductions to use to write off against her income. Angelina also has maxed her 401k and makes an employer match as well. This works out to an additional deduction of about $23,000. She talks to her accountant and finds $20,000 of other deductions on things like professional expenses, dues, transportation, and travel expenses. Instead of earning $400,000, the government looks at her tax return and says she earns $257,000 annually. This earnings difference after taking into account deductions in minimal despite the fact that she earns double what her friend Sue the associate dentist earns in reality. If both Angelina and Sue owe about $500,000 of dental school debt, a loan forgiveness strategy such as Pay As You Earn would allow them to limit payments to roughly 10% of their discretionary income (their Adjusted Gross Income minus 150% of the poverty line). The math would suggest both should be using forgiveness and getting ready to pay a large tax bill at the end of the 20 years of payments on the PAYE plan. If the two dentist friends owed around $250,000 in dental school loans from attending a Texas dental school, then Angelina is in a far better situation. She can refinance and throw significantly more money at her loans, perhaps even with a five-year fixed rate. In the event that Angelina happened to have a lot of upfront expenses that lowered her income, her interest subsidy on the Revised Pay As You Earn plan (REPAYE) would be higher. This could be a good short-term option while she waited on having a good income to reference to refinance her student loans. Meanwhile, Sue the associate dentist would be in danger of scaring off practice lenders with such a high required monthly payment if she were to refinance. On the REPAYE plan, she would probably not qualify for as much of an interest subsidy. Sue would probably need to be more cautious if she decided to refinance her loans unless she truly was willing to take ownership off the table. At the end of their careers, Sue might have a decent amount in her retirement account, but Angelina the owner might have a large 401k, a valuable piece of commercial real estate, and a low seven-figure dental practice. In short, Angelina the dentist who owns her own practice could have a net worth as high as $3 to $5 million. Sue the associate dentist would have significantly less in financial assets. If you’re going to go into six figures of student debt, you should be the one who claims the profit from your labor. Not some wealthy private company with hundreds of dental practices. Most dentists can get conventional financing for a dental practice through a bunch of different banks. Apparently, only 3 in 1000 dental practice loans fail according to conversations I’ve had with practice lenders. 2 of those 3 failures likely involve a male dentist who lost his license from a substance abuse problem. That’s why practice lenders frequently will reward dentists with some of the lowest financing costs of any commercial loan category. The risk of your business not working out as a dentist is very, very low. That means the chances that you pay off your practice loan in about 10 years are fairly high, which means that the vast majority of dentists who take a chance on practice ownership with six-figure student debt loads come out way ahead of their associate dentist peers. Get rid of your credit card debt, get $30,000 cash in the bank, avoid expensive cars, and wait to buy a house until you know where your practice is located. You could achieve the dream of financial independence sooner than you think. Make sure you hire a CPA and attorney to value the practice and review the legal documents before making the purchase. Also, pay for a good inspector for the building if you’re buying that as well. Remember that a practice broker can get a commission of 10% or more if the deal closes. That means you should trust the folks you’re paying a direct fee to for their expertise. Treat statements from sales professionals like brokers with a healthy dose of skepticism since their paycheck depends on you buying that practice. You’ve already taken the risk of spending four years of your life and hundreds of thousands of dollars learning dentistry. Stopping now and not pursuing ownership or even partnership in a multi-doctor practice would be a big mistake in my view. You just need to grow your wealth by becoming a practice owner long term. If you want a custom plan for your dental school loan debt, we can help with that. Take the risk and be your own boss. Your bank account will thank you later. Do you have experience as a private practice dental owner? Do you think there are perks of being an associate I didn’t mention? Let us know in the comments section and share your experience!